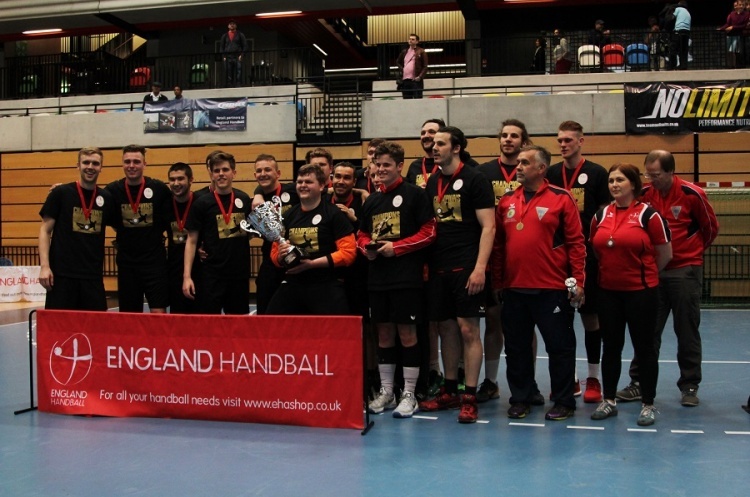 Holders Warrington Wolves booked their place in the England Handball Men’s National Cup quarter-finals after winning a thriller against Olympia. Wolves and Olympia met at Powerleague Trafford in an all Super-8 encounter. The scores were tied at 27-27 at full time. The match, therefore, went into extra time, Wolves coming out on top 33-30. NEM Hawks are in the last eight following a 37-26 win over Championship South Brighton. The first half was a close affair, Hawks leading 14-13 at the break. However, the North West side took control in the second half to win by 13 goals. Manchester won the North against South Championship battle, edging out Carshalton Titans 22-20 at St Mary’s. Cambridge overcame the challenge of Deva of the Championship North, winning 36-22 at Sporthouse. London GD, beaten finalists in the last two years ensured their quarter-final spot with a 27-16 win at Championship South Loughborough. Elsewhere, Coventry Sharks are through to the last eight after Southampton forfeited their match.